Soursop is a tropical evergreen tree that produces fruit with a prickly yellow-green skin. 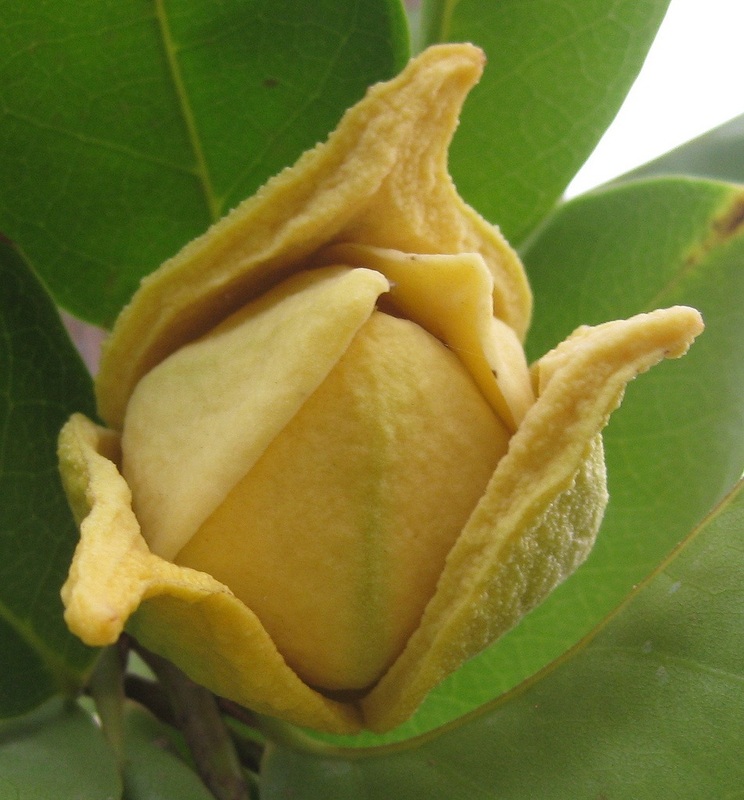 Also referred to as graviola, all its parts from the root to leaves are edible or has medicinal value. It is a fast growing tree that starts producing fruit in the third year. The soursop fruit is sold in some of the major markets in Nairobi that include; Ngara, city and wakulima. 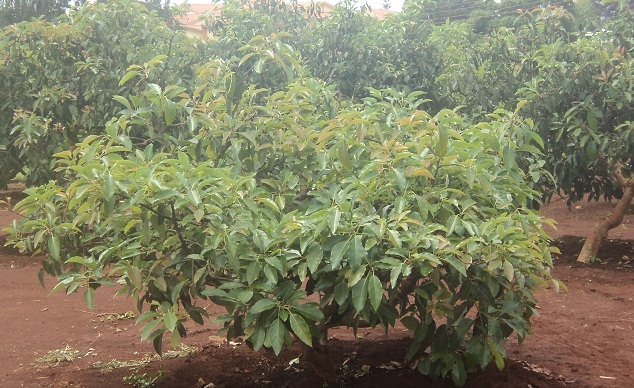 There is no documentation on any commercial soursop plantations in Kenya but a few plants have been spotted in coast, Nyanza and central regions. Soursop (annona muricata) is often mistaken for or referred to as custard apple (annona reticulata) , they belong to the same family- annona, but they are two different fruits. We will explore Custard apple in our next article. Soursop grows in a wide array of soils as long as the soil is well drained. A soil PH of between 5 and 6.5 is ideal. 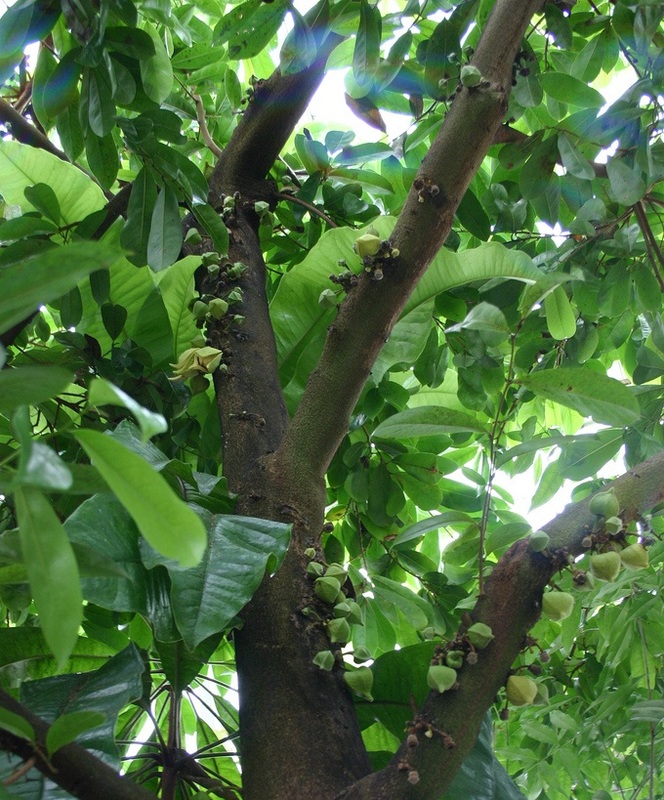 The soursop tree is small in size and may serve as an intercrop between large fruit trees. 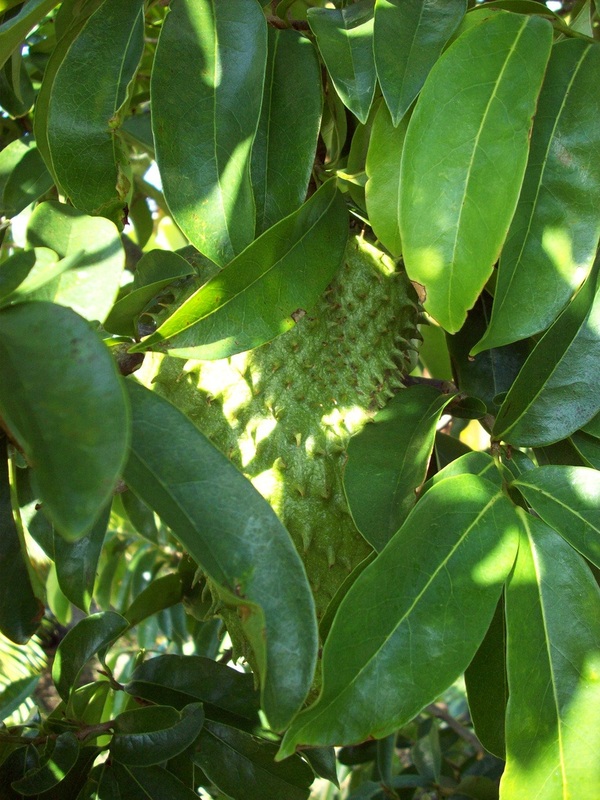 Soursop can be propagated from seed or cuttings. Plant well developed seedlings and ensure they are mulched to suppress weeds and to improve moisture retention in the soil. Soursop trees prefer warm and humid conditions to thrive, they are very susceptible to low temperatures. On maturity fruit may emerge anywhere on the tree ; trunk, branches or twigs. The tree will require adequate fertilizing of which we recommend organic compost and mulching using organic material. Young trees can be supported using bamboo sticks. The tree starts to flower and eventually fruit in the third year, fruits are harvested when they are fully developed but still green. Thereafter it takes 2-4 days to ripen. A single tree can produce 60-70 fruits in a year. The fruit should be handled with care when harvesting to avoid bruising it. After harvest prune slightly as you eliminate dead wood. Soursop may be directly consumed when ripe or processed into ice cream, syrup, smoothies, juice, pulp etc. The fruit has a white fleshy and fibrous pulp with a sweet sour flavor and is rich in vitamin B and C.
There are various pest and diseases that attack the soursop tree. Locally it is more vulnerable to the fruit fly and aphids. Plant disease free seedlings and monitor your plants for any pests and diseases. In case of any attacks consult your extension officer; we do also assist farmers by offering them professional advice concerning the same. We have stocked a few soursop plants that are ready for planting, feel free to visit our demonstration project at kariobangi north primary or our main nursery at Thome, Kasarani. Happy gardening and make sure you plant a fruit tree. 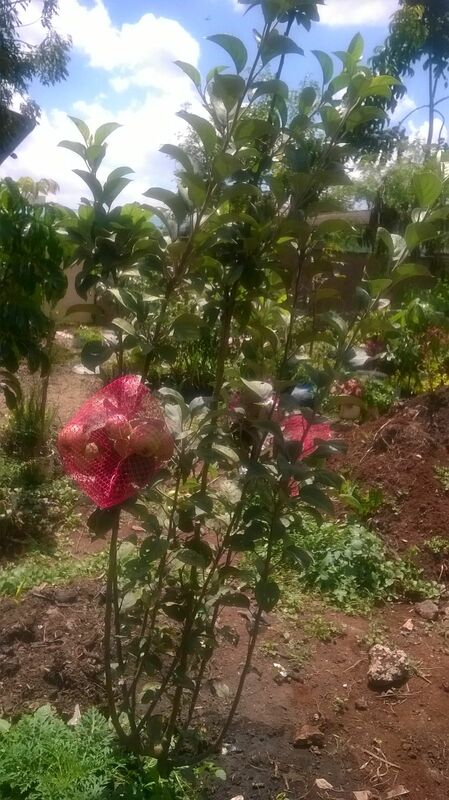 All along we have been highlighting fruit trees that we perceive have great potential to uplift the living standards of small scale farmers and home gardeners in the hope that many will embrace fruit farming. Our focus as an organization is on micro and small scale farmers especially those who are innovative and willing to embrace different farming techniques and crops. As much as most policy issues in the horticultural sector lean towards large scale farmers, micro and small scale farmers play a crucial role in the economy of a country. Food security is greatly boosted and hidden hunger reduced if many individuals engage in farming activities rather than a few large scale farmers whose main objective is high yields. We all are farmers by default and agriculture is a way of life that can also double as a business. The goal is to create a simple farming system that can be easily implemented and gives room for continual optimization of the ecological, economic and social benefits. You are your own teacher. Don’t rely entirely on our posts or what we say, get information from different sources that will enable you make an informed decision. Do your own research that will enable you decide on what you want to do and why you are doing it? Know thyself. Fruit farming has its share of challenges along the value chain, from the farm to the market as fresh fruits or processed end products. Even if your farm is meant for personal consumption, the farm should be designed with the end market in mind. In other words, the farm’s potential to generate income and other environmental and social benefits should be exploited and put into consideration. You never know, later you or your inheritors might want to generate some income from your farm. There are many income generating opportunities that integrate well with an orchard; from offering demos, training, seedlings among others. Fruit cultivation is a long term activity; a grafted tree starts producing viable fruits in the third year, and starts producing optimally after the next 2 to 4 years then continually beyond generations. Hence there is need for good planning to realize short, medium and long-term goals. For this to be realized different crops and trees should be integrated in the farm system. A background check should be done to know the characteristics of the different kind of crops and fruit tree species that combine well and have a degree of symbiotic relationship. For proper results combine the right fruit tree and the right medium term (Papaya, cassava, sweet potato, tree tomato etc) and short term (vegetables, strawberry, herbs etc) crops and trees/shrubs. Consider location with reference to weather and market. The site should have plenty sunshine and excellent air flow. It is proper to do soil test and analysis so as to know the status of your soil. The soil should have good drainage and adequate PH. Soil testing facilities do exist that one can do testing at pocket friendly rates but we still feel that the prices should be reduced to enable an ordinary farmer access the service. Consider the correct spacing as per your needs. The pruning system to be used will determine the distance between trees. Source certified and disease free planting material and inputs. We advocate the use of more organic manure/fertilizer and less synthetic fertilizers. Settle for your preferred irrigation system, there are drip irrigation systems designed and meant for small scale farmers. Right management practices should be embraced. A well trained tree is much easier to manage and maintain and this calls for constant care from when the tree is young. Trees should be trained to facilitate cultivation, light penetration, spraying and harvesting. Consider the following too; Mulching, weed management, pruning, thinning and pollination requirements. The best way to tackle pest and diseases is prevention. Plant disease free seedlings and ensure they are well taken care of. We favor integrated pest management (IPM) that combines different pest control techniques and strategies keeping the use of pesticides at low levels. IPM is a complex pest control process but cost effective with many benefits to the ecosystem and our personal health. Start looking for market for your produce before you harvest. Horticultural crops, because of their high perishability require an efficient marketing strategy. Come up with a marketing strategy that will identify potential buyers, how they will access the farm products and at what price. Small scale farmers can form groups that will enable them produce in bulk and access the export market as a single unit. Local fruit processing firms do exist in different counties that are in need of raw material, approach them and know the thresholds and the prices they offer. Harvest your produce at the right time for better quality. Fruits are harvested when they are mature or ripen. Use easy to handle harvest containers and ensure the harvesting tools are sterilized. Harvested fruits should be washed and treated to avoid propagation of diseases. Fruits are stored in a dry and cool place in flexible sacks, crates, cartons or baskets as they await consumption or value addition. Farming on a small or moderate scale has prospects of generating competent income. There is need for Policy measures that improve the performance of small scale horticultural farmers. 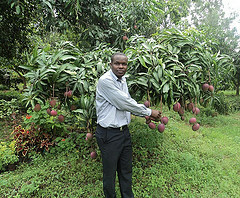 There are a variety of fruit tree species that perform exceptionally well in Kenya, hence need for more research and development to realize their potential. 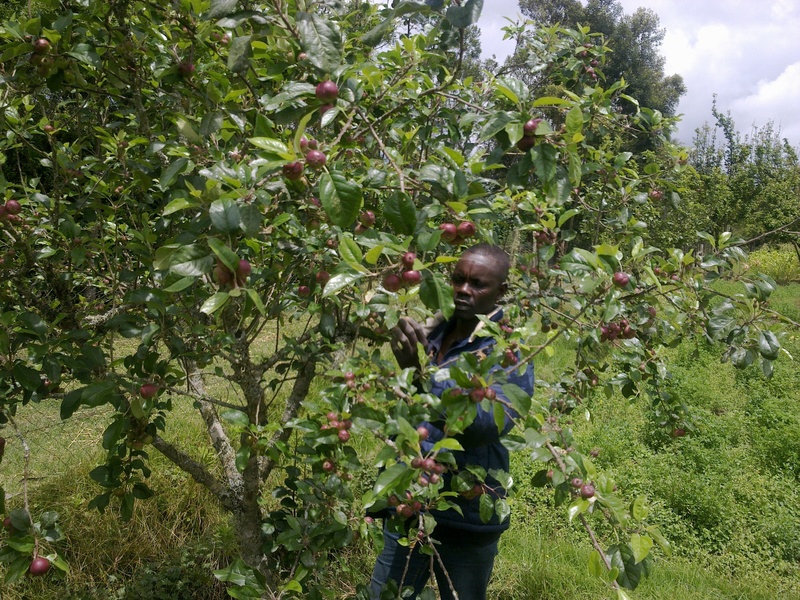 The setting up of fruit processing firms in different counties offers the Kenyan small scale farmer an opportunity to diversify into fruit farming. Thoroughly master your local problem, come up with solutions as you impact the lives of others while making a profit. Sustainable fruit farming offers a simple solution that combats climate change and food insecurity making it a worthy cause. We are looking forward to a fruitful 2015 as we continue to encourage farmers and home gardeners to embrace eco-friendly agriculture that adapts to climate change, and achieves higher productivity while delivers economic and social benefits. In partnership with Bonsai Global (http://www.bonsaiglobal.co.ke) we are embarking on a journey to sensitize Kenyans on the economic and environmental benefits of Breadfruit. A single tree can produce enough fruit to calorically sustain a modern family of 4 for six months over 75 plus years. Breadfruit can be used as a substitute for rice, and it can be processed into a glutten-free flour can serve as a replacement for wheat flour in making muffins, pancakes and bread. We have identified farmers from different parts of the country who will be trained on Breadfruit best production practices and given seedlings to kick start their practical project. The Breadfruit Institute (www.breadfruit.org) in Hawaii will be providing the seedlings to be distributed to farmers and schools in different selected areas. Food self-sufficiency and sustainability are becoming hot topics and such an initiative will come in handy. Breadfruit is a fast growing versatile fruit that can play an important role in combating food insecurity and deforestation especially in different countries in Africa. With proper maintenance breadfruit can easily be grown in places with little space in urban areas and can also be inter-cropped with different plants on farms. Breadfruit farming is not labor intensive, requires less inputs and produces yields greater than any other starch alternative,including wheat, maize and tuber crops. Nutritionally, it is rich in iron, calcium, fiber, potassium, magnesium and its high in carbohydrates. Breadfruit can be boiled, roasted, baked or fried and has great potential to be featured in the everyday diet. There are more than 100 varieties of breadfruit but most prevalent ones are the Ma’afala and Ulu Fiti, provided by tissue culture through Global Breadfruit (www.globalbreadfruit.com). For high produce and quality fruit, one should plant mature and healthy seedlings in a place where there is good air circulation. 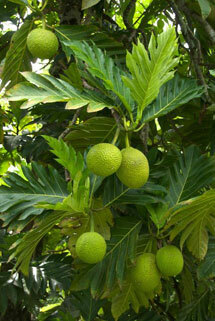 Breadfruit is an energy rich food that requires sufficient nutrition and regular watering during the first 6-12 months. The trees should be mulched after planting and beneficial cover crops planted around the tree to also increase biological activity. It is advisable to test your soil before applying any fertilizer and should be applied before the fruiting season. Healthy seedlings are disease resistant but one should watch out for snails, slugs, ants, termites and mildews. When it comes to pest and diseases, prevention is the best cure. Ensure the area surrounding your plants is clean and weed free to avoid pests. The first phase of our project at Karen can be deemed a success. 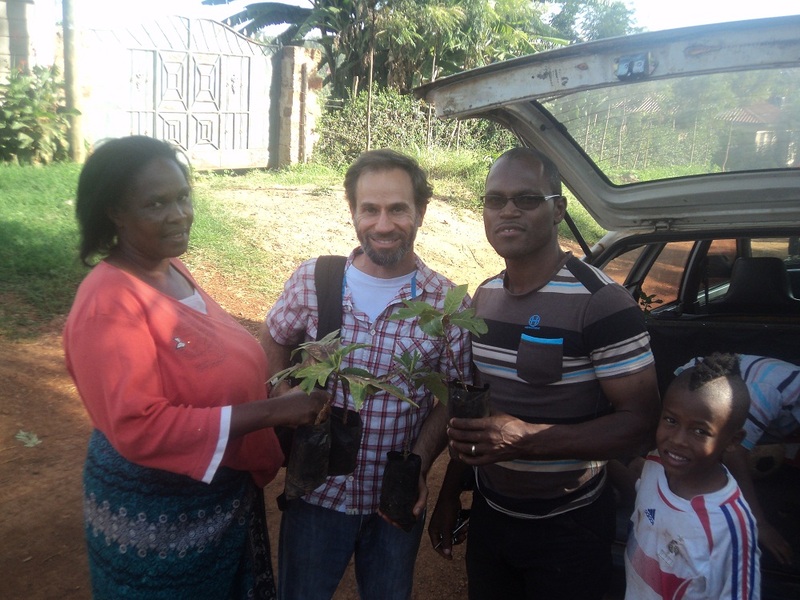 Together with the kids at Mokoyeti Brook centre- a CBO in Karen and various stakeholders, we planted 30 fruit trees. There are many joys and rewards received while working with kids. The major score of this project was guiding these young ones into becoming responsible citizens of Kenya and the planet as a whole. The kids themselves planted the fruit trees and up to now still take care of the planted fruits. Each and every kid has his/her week to look after the fruit trees and ensure they get enough water. As the kids grow they have to take it upon themselves to ensure the culture of planting fruits is extended to the rest of the neighboring communities through various strategies adopted amongst themselves. Our prayer is that the rest of Kenyans should join us in our mission to ensure each and every Kenyan has a fruit tree in their yard. Kenyan kids and youths should encouraged to embrace agriculture. As big governments are reluctant to combat climate change, we believe its up to individuals and the private sector to lead the way in conserving the environment. We have to lobby for homegrown policies that ensures the environment is conserved, and don’t have to wait for some big foreign government to come to our rescue.